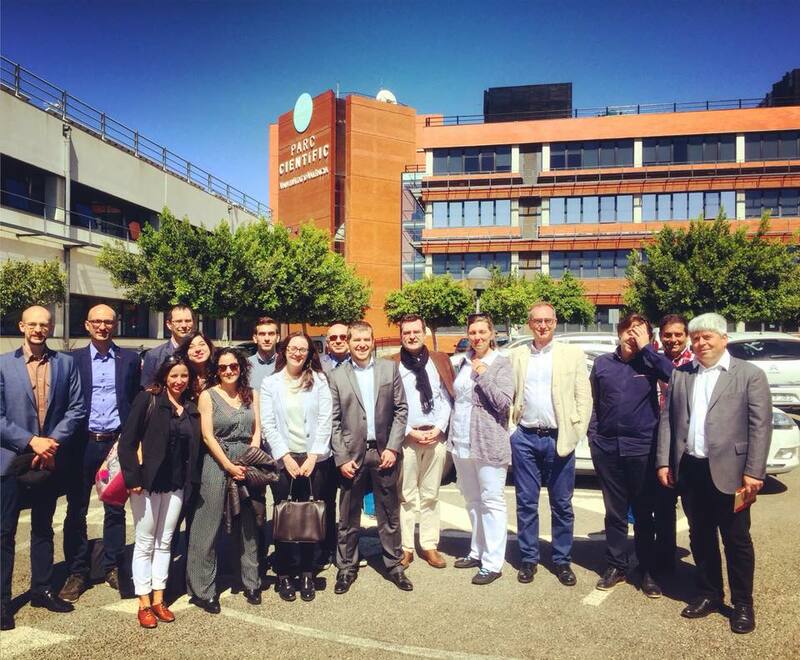 From the 3rd to 4th May, SILKNOW celebrated its first meeting hosted by the project coordinators at the Universitat de València. Marcos Fernández and Ester Alba (UVEG) welcomed all participants to the kick off meeting of the project. Later on, all the partners gave a brief introduction of their institution and explained their main role in the project. Later on, all partners enjoyed a private visit to our partner GARIN’s installations At GARIN, Elena Ribes, Garín’s CEO, explained all partners some technical aspects of ancient weaving techniques. She also showed ancient textiles collections and originaltechnical drawings. Finally, the project officer of the project, Mr. Rodrigo Martín Galán, joined the meeting via a Skype videoconference. He explained in detail the overall procedures that the project has to follow.